mTrip has added a new feature for its mobile application for tour operators and travel agencies: Real-time Flight Alerts. Keeping your clients up-to-date with the latest information of their upcoming flight notifying them of any changes, cancellations, etc. For leisure travelers, flying can be a stressful experience. 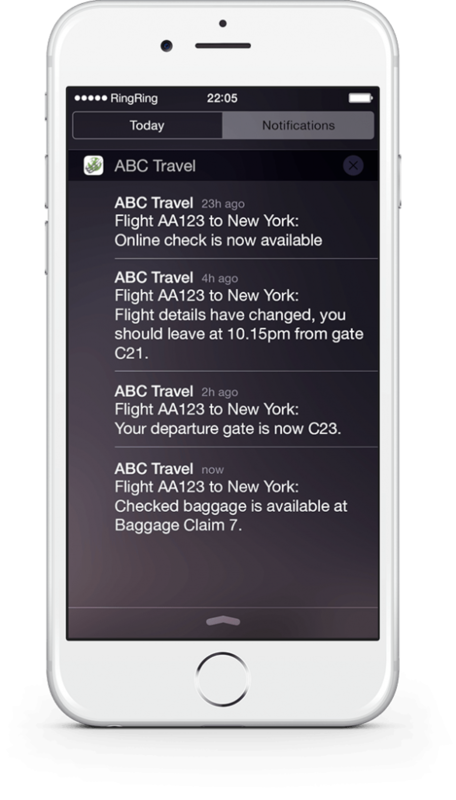 Busy airports, sudden changes, security line ups and more; By sending automated push notifications to your client keeping them informed, the mobile solution improves and simplifies the travel experience of your client.